Yes, it’s a quarter of a century ago this Saturday that those immortal words drew back the curtains on Kylie Minogue’s music career. A rework of Little Eva’s 1962 classic, ‘Locomotion’ smashed the No.1 spot on the Australian singles chart at a time when Kylie’s star was shining bright as part of the cast of ‘Neighbours’. 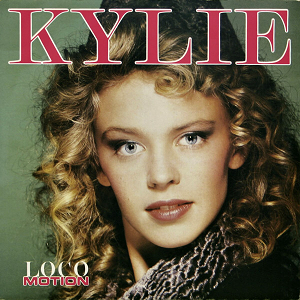 25 years on, the song still features in Kylie’s live repertoire, so the singer’s boffins have tipped their hat to the classic track, unveiling the latest visual nugget as part of the K25 celebrations. The clip features performances of the song from across Kylie’s career – live in Dublin, Intimate and live, live in Manchester and… there’s a special 2012 surprise right at the very end. Happy K25, Ms M. We’ve certainly enjoyed being aboard. Yes, I’m being pedantic, but I feel it’s necessary to point out that the lyric, “All aboard!”, didn’t feature on the Australian version of “Locomotion” – it only featured on the re-recorded UK version, which was released over there in 1988…. Really over Kylie. Her last single bombed for a reason.